Subway India is all set to revamp and reach out to their audiences with an upbeat brand theme song – Make It What You Want. True to their product and positioning, Subway’s theme song is a splendid blend of new age music of diverse styles and choices. 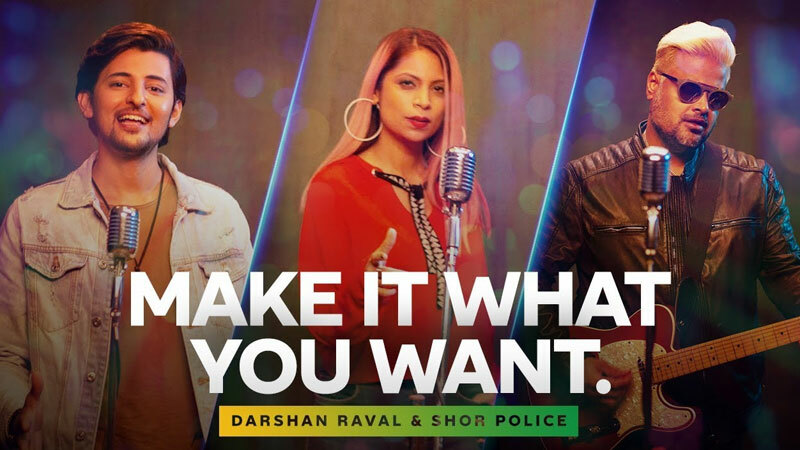 Featuring music sensations, Darshan Raval, Bianca Gomes, and Clinton Cerejo of Shor Police fame, Make It What You Want is a power packed celebration of each of the singer’s individual style and funk reflecting what the brand stands for. Targeted at millennial, the video speaks to the youth in a lingo they connect with the best – music! Foot tapping beats with lyrics that salute those who dare to explore the untraveled paths, those responsible for their own destiny, and those who aren’t afraid to falter and stand up all over again! The peppy song and motivating lyrics are bound to keep you glued till the very end. Make It What You Want also makes for a catchy fusion that you’re bound to hum for a long, long time. Further, Subway manages to break the clutter of brand songs by integrating their product positioning ‘make your own subs or salad the way you want’ through the song’s essence.